Like a present, for surprise, for be grateful... The excellence in your hands. 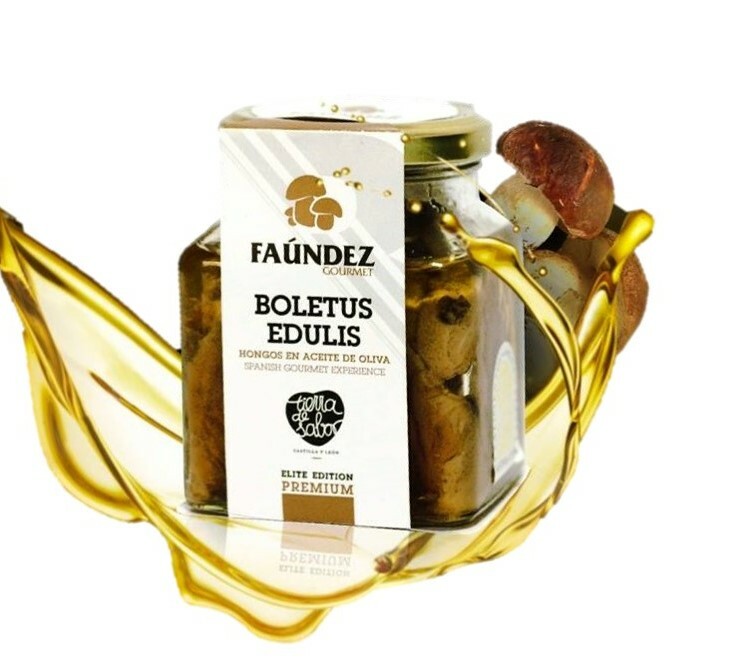 This is a Premium Elite Edition of Fungus in Olive Oil selectionated by FAUNDEZ GOURMET for you. Preserved products can be mix in the same consigment with fresh or dehydrated fungus but not with frozen products. In this case we consider a diferent consigment. 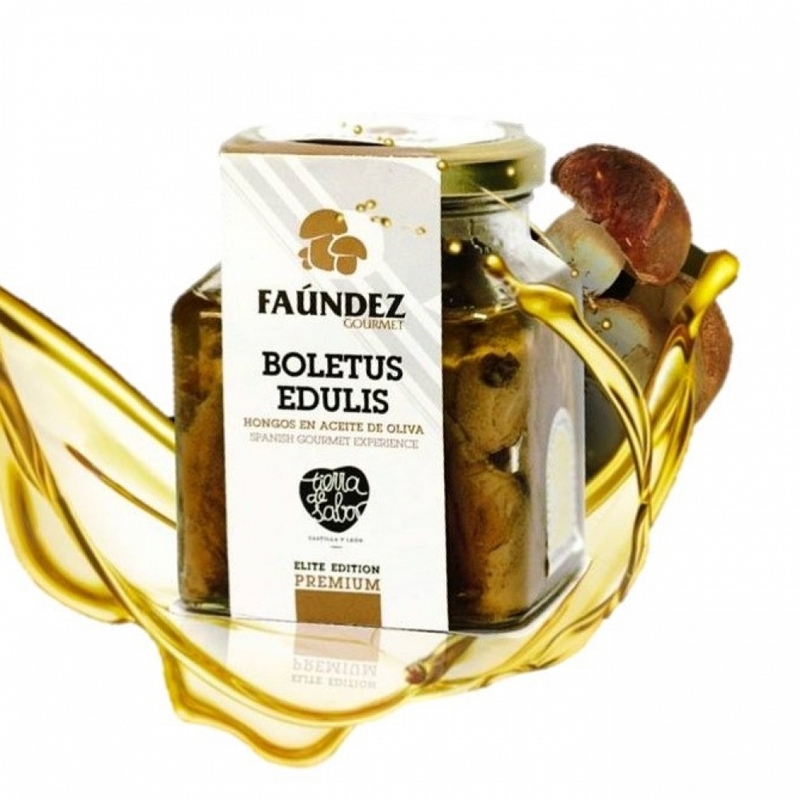 Another Especial and Exclusive Selection of BOLETUS EDULIS in Olive Oil are Native Fungus, selectionated by FAUNDEZ GOURMET fou you, this is another of our especialities. If you are looking for the Maximun Quality, this is our proposal, because our BOLETUS make the diference. We are the most awarded company of the sector. MIDDLE VALUE FOR 100 APROX.